Do Teens Have To Pay Taxes On Summer Job Earnings? Most high school and college students anticipate the money they will earn working typical summer jobs, which range from babysitting and mowing lawns to working part-time at their local restaurant or video store. While a summer paycheck may give them a nice chunk of change to begin the next school year, some may also face liabilities depending on their earnings and employment status. In order to determine any potential tax bills, workers should first determine what type of employee they are. For example, those who earn their wages mowing lawns, babysitting or taking on small tasks for individuals are classified typically as self-employed workers. Workers will be required to file a tax return with the IRS if their earnings exceed $400. Although individuals may not be required to pay income taxes on their returns, they may be held responsible for paying self-employment taxes, such as Social Security and Medicare. To determine their responsibilities - and as a general learning tool - it may be helpful for individuals to set up an appointment with a tax preparer so that they know what to expect and how to proceed. In contrast, those who work for a company may be considered either employees or independent contractors, depending on how the employer chooses to classify them. It's important that teens understand the difference. Independent contractors do not have taxes withheld from their pay as they are considered self-employed. They will also receive a 1099 in January instead of a W-2 form. While this classification may be preferable and cost-effective for companies, it's not always correctly applied. Because the responsibility to take taxes out of their pay will ultimately rest on the worker, summer hires should make sure they are classified correctly. An independent contractor is one that generally sets his or her own hours, supplies their own tools and sets the rules on how they carry out their work tasks. 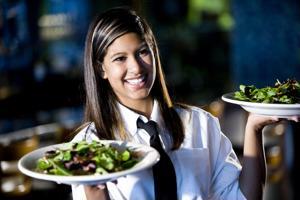 Lastly, working in a restaurant is a popular summer job, and individuals can make a great deal of money in tips. However, the IRS does require that individuals report all tips - both cash and credit card charges - to their employer, who then reports the figures to the agency. Therefore, waiters, waitresses and other individuals who earn these types of income should keep their earnings well documented.